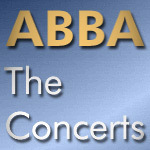 ABBA in Concert does not include a full concert, but originally was a TV special made for Swedish Television (SVT) 1980. Therefore it combines some elements of a documentary with a concert film. The first part shows scenes with ABBA off stage in the USA and also gives some insights on the spirit of the time. It then switches to the concert which was filmed and recorded at Wembley Arena in London. The booklet includes many pictures and an extensive essay by Carl Magnus Palm. According to Palm’s liner notes two of the Wembley concerts were filmed, but none of them in full as the TV special had a limited running time.